Apr 18, 2017: Can an ATX power supply fit inside a microATX case? May 09, 2017: Selling off my old Mini ITX setup and upgrading with the profits! Thoughts on my choices! May 12, 2017: Would a $450 HP RX480 machine be a good deal? 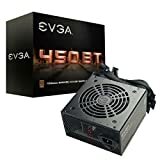 Jun 01, 2017: What Cables come with the EVGA 450 BT 80+ Bronze Power supply and is this a good PC to upgrade parts to. Jun 16, 2017: [USA-OK] [H] PayPal and Venmo [W] Budget Gpu, Power supply. Jun 21, 2017: Thoughts on build? Aug 18, 2017: $600 over 3 months for 2 friends. Sep 08, 2017: Plex Server Build Recommendation: $193, 8-bay ATX, dual-Xeon, ultra-quiet "Lego" build - up to 12C/24T, 12.5k passmark, 48GB RAM &amp; more! Sep 24, 2017: My PSU has the wrong plug type! Oct 12, 2017: Buying and upgrading Pre-built PC for gaming ,need help. Nov 25, 2017: Slapped together a power supply DNA200 to revive a dead chip. It's incredibly easy! Dec 01, 2017: [Help] New Ryzen or reused Optiplex 3020 parts? Feb 10, 2018: Would a 250W power supply be good for an i5-6400, 1050ti, 8gb of ram, and a 1tb hard drive? Feb 23, 2018: USB stop working when OS boots up?!?!?! Feb 27, 2018: My USBs are not working! PLEASE HELP! Aug 17, 2018: Semi-budget everyday use build for dad ready to be looked over. Oct 16, 2018: Is this a good build for the price? Oct 22, 2018: Help making part list. Dec 21, 2018: Missing Anything, recommendations? Dec 30, 2018: Which Fans and PSU Are Compatible With My Setup? Jan 04, 2019: First build, anything I should change about my parts list?